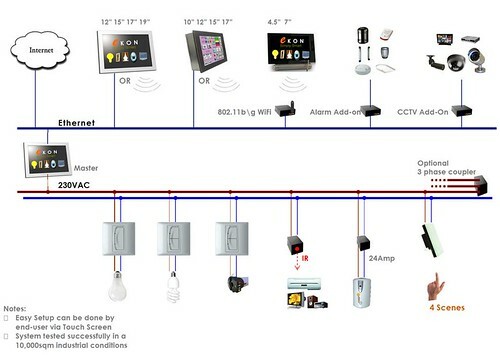 That presentation will be useful for all who’d like to understand what kind of wireless devices can be used in the home automation system and how. I like it but the CoCo devices, which use some proprietary protocol instead of some standard one, should be definitely replaced by something with support Z-Wave or ZigBee. Moreover, it’s supposed that CoCo devices will control via remote control and not via PC or controller (correct me if I wrong). I found the PC interface but it’s used to set timers and not for integration with home automation system. As a simple and basic solution without controller or PC with specific software CoCo might be good (depends of the price, of couse). But for something serious it’d be better to use devices which support some standard protocol such X10, Z-Wave, ZigBee etc and which can be easily integrated with opensource or commertial software. If you care about environment and your electricity bill but always forget to switch off unnecessary light using SmartSwitch is an one way to solve that situation. It’d designed to give user feedback about a value of personal or communal electrical usage. If that value reached predefined maximum than the SmartSwitch is physically harder to use, thanks to a brake pad inside the mechanism and built-in microprocessor. As result the user will always remember to turn off unnecessary light and electronic devices. The SmartSwitch fits into standard electrical boxes and data communication occurs through the electrical lines using X11 protocol. C-Bus users now have a possibility to build wireless network as well as a wired. It might be needed when existing system is expanded and you don’t want to put additional cables. Currently only wireless switches, dimmers, scene controls and remote controls are available. Unfortunately there are no any security sensors or thermostats yet. The switches, dimmers and scene controls are available in two styles – Neo and Saturn. Switches and dimmers can have two or four buttons. Scene controls – only four. To integrate wireless devices into wired system the C-Bus RF Gateway should be used. It provides a C-Bus protocol communication bridge between a single C-Bus RF wireless system and a single C-Bus wired network. Wireless C-Bus devices look nice but there are two big disadvantages which limit their usage. The first one is small choice of available devices. And the second one is a range of transmitting of the commands. If I’m not wrong a wireless C-Bus device cannot re-transmit command sent from the controller via gateway. So, to improve a signal coverage additional gateway should be added. Comparing with Z-Wave or ZigBee where each device in the network can re-transmit sent commands. But in any case, for existing C-Bus users the wireless devices can help extend their network without breaking walls. Chinese company EKON produced its own automation system to control home or office. It uses proprietary Power Line protocol (not X10 as I understand) to send data between controller and execution units. The EKON controllers are embeded into touchscreen control panels. The consumer can choose between wall-mounted, table-mounted and wireless ones. Together with managing of electrical stuff in your home of office EKON system allows to make security and CCTV using Alarm&CCTV Controller add-on. Using the touch panels consumer can see the alarm signals and watch video from the security cams. The EKON system is a ready-made software and hardware solution. From one hand it’s good because the system contains only tested and working parts. But the its big disadvantage is proprietary technology and devices. 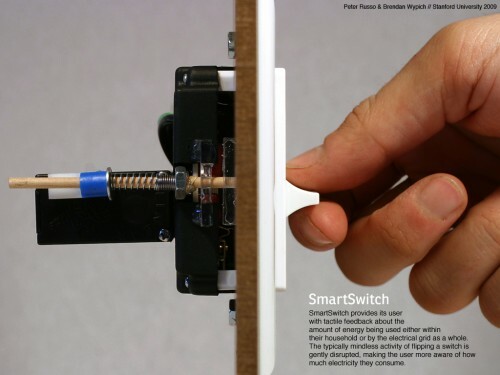 It’s impossible to use switches or dimmers produced by other manufacturers. Another aspect which can be very important is integration EKON with other systems to have, for example, multi-room control. Have no idea how easy or hard to do that. In any case it’s good to have alternatives. Especially in the area of DIY home control systems. Sharp is going to release its new series of LED bulbs in Japan next moth. It includes 7 different shades and and remote control. The 560-lumen bulb has a classic design and provides very natural white light with desire shade. It consumes very little energy, about 4.1 or 7.5 watts, and provides about 4 – 5 years of constant use. Finally it’s completely quiet and lights up immediately to maximum brightness. 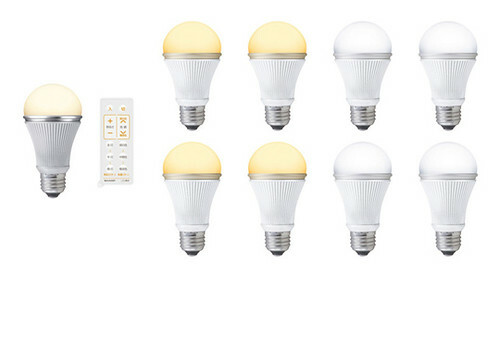 The Sharp LED bulb is priced at $40 for the non-adjustable model and at $82 for the ones the color can be adjusted via remote control.